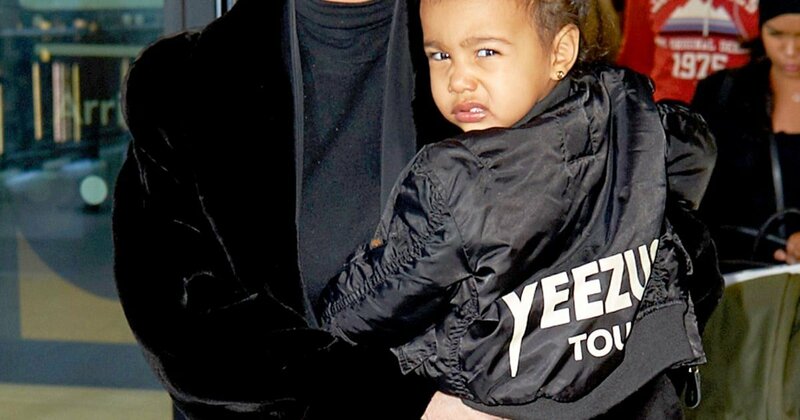 I am sure there are people out there who think that there is no double standard between men and women, and to those people, North—AKA Nori up there— is helping me give you the stink eye! And for those people who think this is another feminist rant or who think that women always complain, I will admit that there are times when women get the long side of the stick, have it better or however you want to put it. But let’s be real, double standard affect women negatively far more than it does men. We pretty much got schooled on that by Aunty Chimamanda! Now that we have that out of the way, let me begin. For the purpose of this article, I want to clarify that I am writing it from my point of view of double standard and as such I am using the term in a situation where girls and boys in the same age group are treated in society, both in the public and private sphere. I grew up and lived in Nigeria up until my late teens, so double standard is not new to me. It was just the norm. I was young and naive and because I grew up in a system where women had certain roles and men had theirs, I never really questioned anything. And this goes really well for everyone who grew up in any culture,you just accept certain things because that is just the way it is! And then I moved to a different country, hence different culture with a sort of opposite view of the way women and men are treated. I wouldn’t be naive and go as far as to say that women and men are treated as equals in England. But when it comes to the role of women and men as young adults at home and in society, there is a far greater level of fairness and equality in the way their matters are addressed. Let me illustrate in case my long jargon is not getting to you. In a typical Nigerian home, when growing up the girl at some point is introduced to household chores like cooking, cleaning, attending to guests, taking care of younger siblings, going on grocery errands and so on. Whereas for the boy, well this is a split as there are hardly any norms for the chores a boy has growing up. It mostly depends on the household. But if I most say, it involves maybe driving someone around if a driver is unavailable—hence they have to be of driving age for this to occur— occasionally running errands, maybe changing a bulb or two and helping carry heavy stuff around. If you notice, the chores of boys are not frequently done unlike that of girls and so begins the divide in the views of girls and boys. These Youngins then grow up to be teenagers and in probably a boarding secondary school. Now the roles are further set in stone where you have “chores for girls” and “chores for boys”, outside of the “gender-fluid” roles! I remember being in secondary school and every Sunday the girls in a particular year are in charge of doing dishes after breakfast before they attend religious services. You may ask what the boys are doing at this time, why I will be delighted to tell you that they are off somewhere having a rest, playing or prepping for service. But see, young Rabiatu didn’t think much of her situation at that time but wishes she could time travel to give whoever created that rule a piece of her mind. But being in England and learning about this part of their culture made me realise that in a typical British household, kids do not have this type of role divide and if it even exists then it is far less and wasn’t the norm. At university, I didn’t come across roles for men and women being part of society, on campus and just in general school day-to-day life. So that quickly became my new norm. Do you now have an idea what I am talking about. Fast-forward to growing up and having a bunch of lessons, knowledge and insight into how the world works and how different cultures operate, the notion that girls and boys have different roles does bother me now. But what makes my blood boil is the fact that girls are given more chores and demands over boys. Yes I went there. Sue me. I know sometimes part of overcoming culture shock is by unlearning certain things from the country you left and adapting to your current country, but I believe that there are certain things that shouldn’t be unlearnt. And certainly conforming to gender in-equality is certainly not what should be accepted. So For people who disagree, feel free to state your reasons in the comments section people, and for those who have experienced double standard, please do share your tales of misery or otherwise. Yes!! Definitely experienced all of this. Being the only girl amongst 3 boys I always asked why me? Luckily for me though it was not that extreme because my parents were pretty fair in sharing household chores. The best example I can think of is the whole rahmatu vs Ali nuhu ( Hausa actors) incident. It’s frustrating when it’s a negative thing and double standard comes to play. If it’s wrong it’s wrong! I couldn’t agree more! I vowed, as a teenager that my male children are going to be raised differently. At 16 I fought against this double standard in my family and guess what? I won! I’ve written about it but never published the article. Girls need to start speaking up more. Thumbs up! I think people have learnt to hide behind tradition and like you mentioned we need to do better. Luckily our generation have a slightly different or in some cases a large difference with how we view this issue. So I have hope that the next generation will have lesser worries about double standard.